Electric cars are going to replace conventional cars in the future. They are quiet and fast, they don’t pollute the air nor require high maintenance, and you can charge them at home. One of the biggest disadvantages is their cost, but they’ll get cheaper as the new technology becomes more affordable. 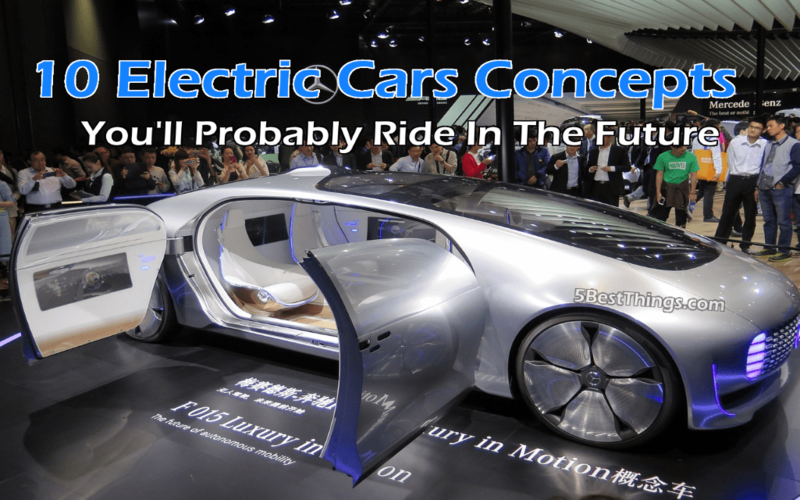 Therefore you should check out some concepts that show the future of electric vehicles. 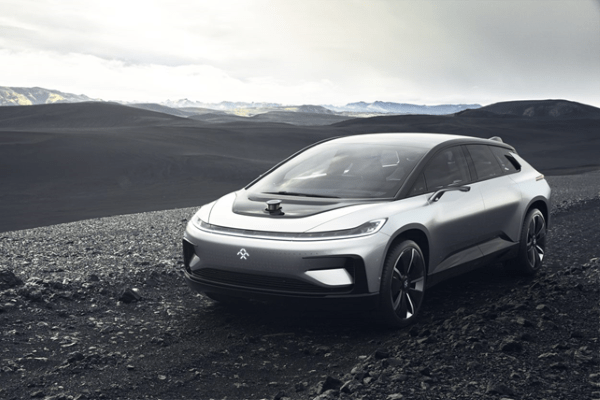 Faraday Future FF 91 is one of the biggest Tesla’s competitors for a reason. The manufacturer focused on performance, and with 1 050 horsepowers, FF 91 is one of the fastest electric cars on the market. According to Faraday Future, the car can accelerate from 0-60 in 2.39 seconds. No car has such fast acceleration. If you’re asking about range, the car can drive up to 378 miles. Pretty impressive, right? But compared to Tesla, Faraday Future will be a bit pricier, you’re going to pay $200 000 to $300 000. Chrysler-Fiat introduced a futuristic minivan designed for millennials. It was unveiled at CES 2017, but company said the vehicle is going to be build after 2018. 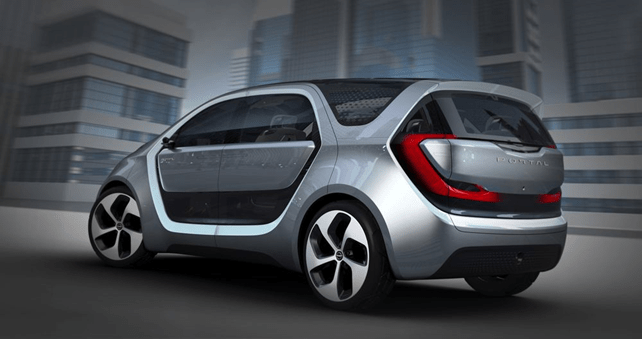 The electric minivan is equipped with a 100kWh battery pack which lasts more than 250 miles of range. Doors are designed in a very strange way; they slide open from the middle. And of course, we’re living in 2017, so the self-driving functionality is required. 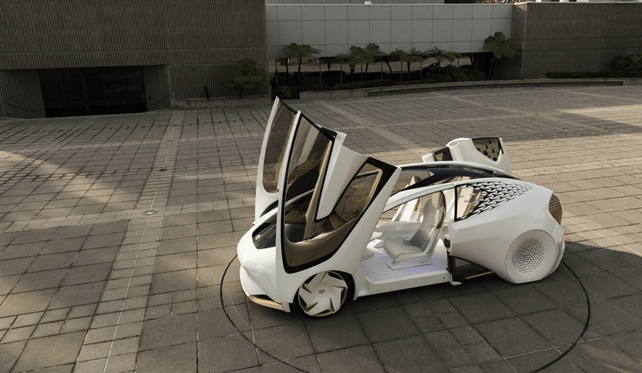 If you’re looking for a peculiar car, then take a look at new Toyota Concept-i. Since everyone uses some kind of AI stuff on their smartphone, Toyota decided to integrate it right into the car. Yes, the car learns from and grows with you. The artificial intelligence is called „Yui“ and it’s not just a touchscreen in the dashboard, it also tries to predict and meet passenger’s needs. As you would expect, the vehicle is autonomous too, but look at that odd futuristic design. Yes, it’s a bit fancy, but who cares? We’re talking about the future, guys. Okay, this car is not something you’re going to buy because you probably aren’t working for a delivery service or in logistic company. 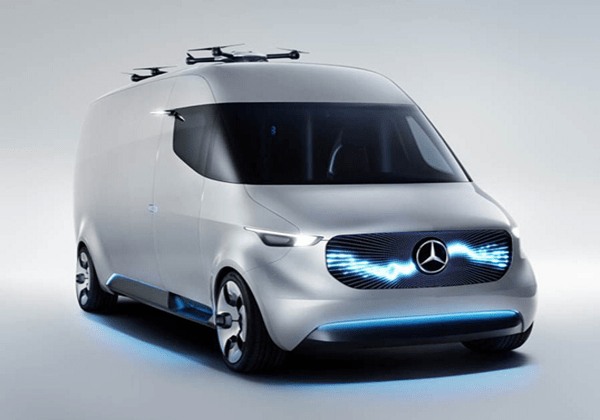 Vision Van is the next big step for logistics, as Mercedes-Benz said, it boosts the efficiency of delivery in urban areas up to 50%. On the car’s roof, you can even find integrated drones. Max load weight on them will be 2kg which cover around 85% of all Amazon stuff. Tell me, which vehicle does have drones on the roof? I’m kind of falling in love. And I’m not going to start a debate about that attractive and sleek design. Yes, I definitely want to see more of this on the roads. If Vision Van didn’t catch you attention, then you should definitely check out Concept EQ. The letters EQ stand for „Electric Intelligence“, and you guess right, it’s not just another car that runs on electricity. 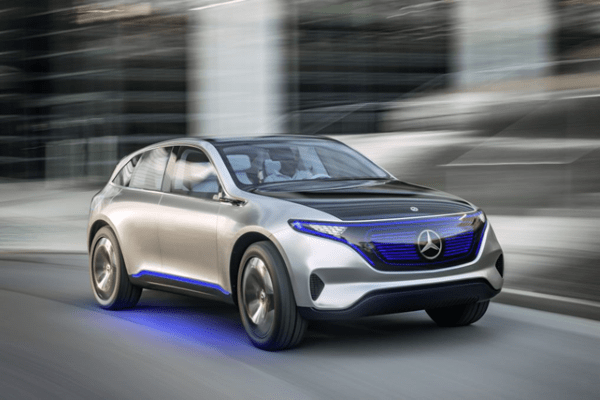 Actually, Concept EQ is a whole series of electric cars like SUV, a sedan, a wagon or a coupe. The first announced vehicle looks like a typical SUV that competes with Tesla Model X. Concept EQ has similar performance and the range will be up to 310 miles with sub-five seconds acceleration. Future owners will find swappable batteries very useful. The first EQ vehicle will be shipped due in 2018. We’ve already seen lots of autonomous electric vehicles, what is so interesting about new Hyundai’s concept? The Korean carmaker is using cheaper but good quality sensors and less computing power which makes the car significantly cheaper. Yep, we’re talking about the first affordable autonomous car, isn’t it cool? 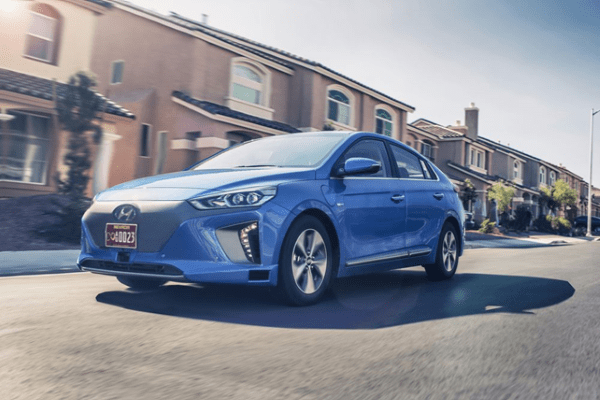 Although you shouldn’t expect high performance or long range (up to 155 miles), but I think Ioniq will be the first choice for customers that seek comfortable rides and low price. Artificial intelligence is quickly getting into almost all new cars. Honda NeuV, another all-electric car on our list, is not an exception with its own AI assistant called Hana. It’s not a high-performance vehicle, though NeuV is focusing on saving your money. Thanks to AI, it starts charging when rates are low or even sell back excess power when rates are high. So, it kind of earns money. The car has an autonomous system too. 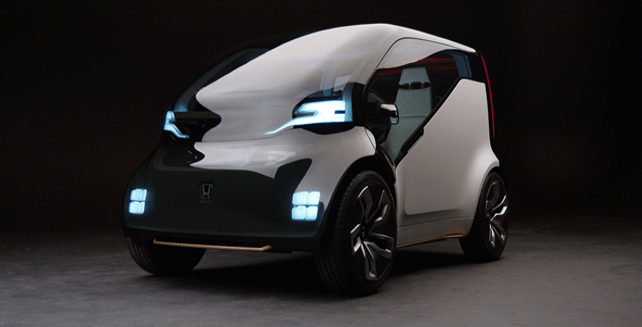 Since it’s level 4 (fully autonomous), Honda NeuV can also serve as a ride-sharing car when you aren’t driving. Another source of income for you and your family, doesn’t it sound great? Some people really want the best out of their car, so the Nissan has an answer for them. I’m not sure if I should call BladeGlider a car, because it rather looks like a distant cousin of formula. 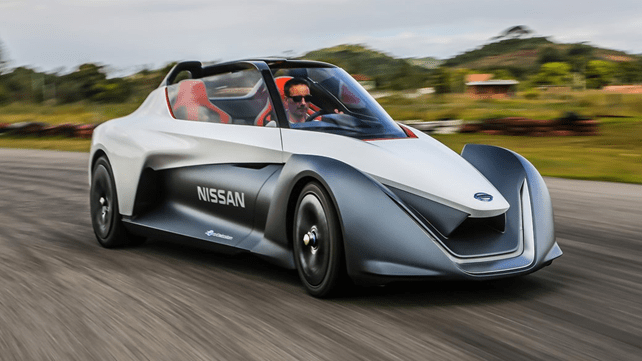 Nissan BladeGlider is an all-electric vehicle with stunning performance and dynamic handling. The car was introduced last year, and it symbolizes environmental-friendly sports car. 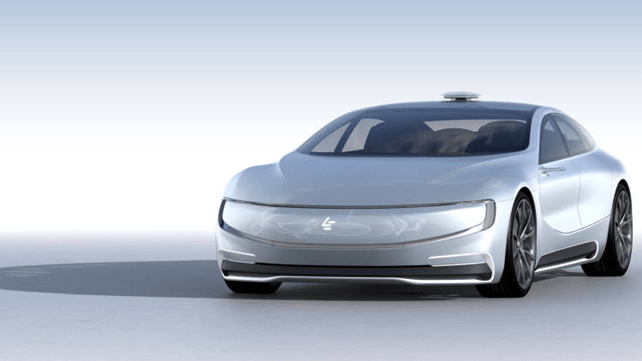 Chinese carmaker, LeEco, announced another Tesla Killer last year that is called LeSee Pro. At the moment, there is not much information about the vehicle since it’s still a concept that is far from production. All we know is that LeSee Pro is supposed to be large four-doors electric sedan with autonomous capabilities. LeEco even revealed its top speed which will be up to 130 miles per hour and the price lower than Tesla. So, when we take it all into account, we have a serious competitor for American carmaker. Yes, you read it right. Very famous GPU manufacturer, Nvidia, announced their own electric car too. Did the whole world go crazy? Actually, Nvidia is collaborating with Audi, so they are more likely developing autonomous technology. 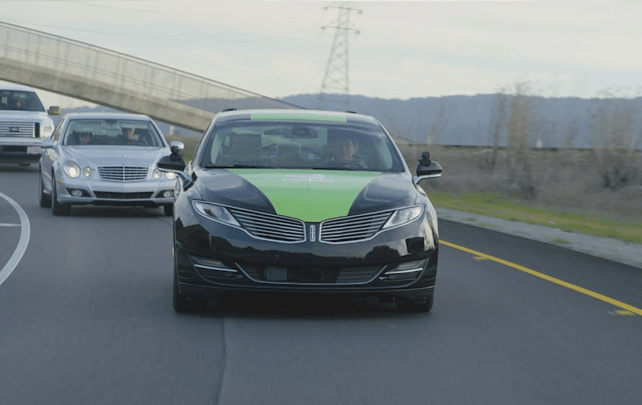 Both manufacturers already test the self-driving on the roads of Northen California, so we’re not talking about a concept anymore. I think Nvidia BB8 is closest to get on the roads and I hope we’ll see more and more similar autonomous cars in the following years.